Colets Piling held four further Charity events at The O2 during November and December and with the help of customers and suppliers, donations made raised a further £5000 to our total which means with all your help and generosity the total collected in 2018 was £10,400.00. 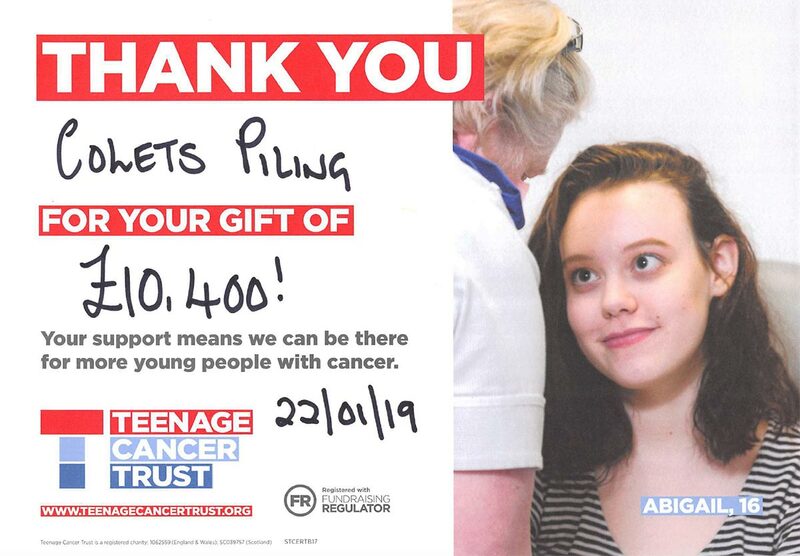 Teenage Cancer Trust have forwarded the latest certificate confirming the donations to date which is below. Thank you all for helping with this great cause have a great 2019 and look forward to seeing you all at the events we have planned.